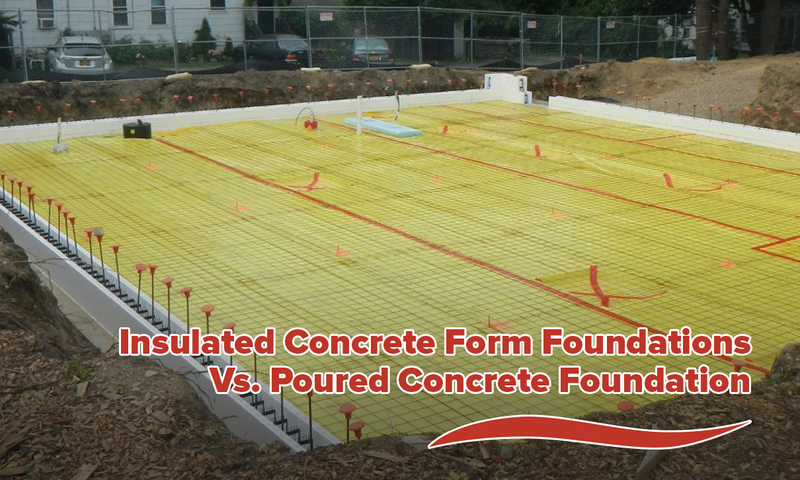 ICF and the concrete industry have been growing in leaps and bounds over the last several years. As more home and business owners become aware of the benefits of this unique form of building, more builders and contractors are beginning to meet demand. 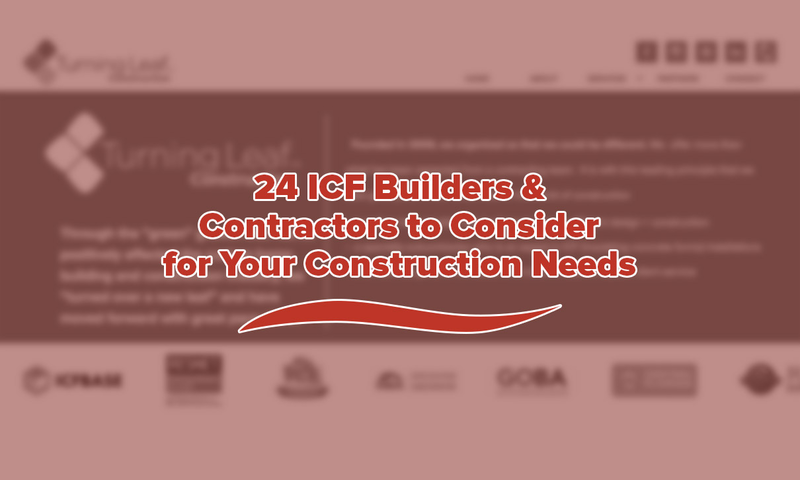 Below, you’ll find the top 24 builders and contractors who work with ICF. 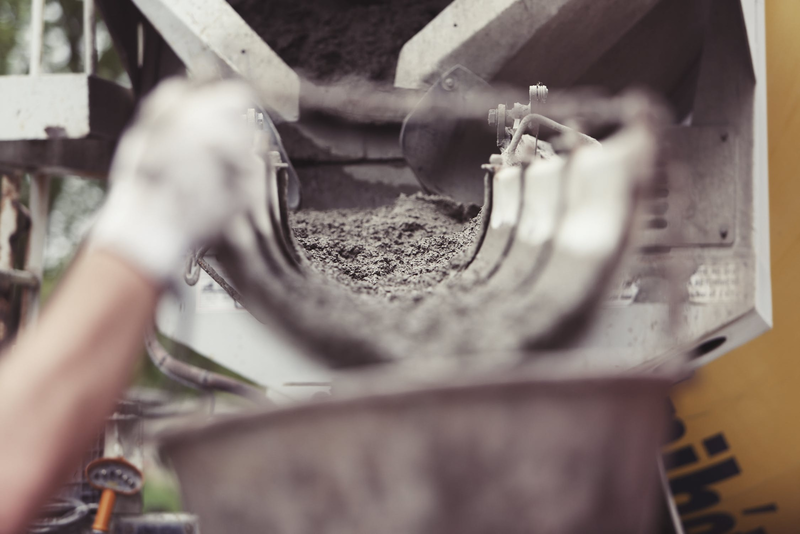 These companies are doing exceptional, and oftentimes, groundbreaking work, helping to push the concrete industry forward. Check them out to learn more about this exciting industry and the people behind it. A.B.A Services takes on jobs of every size, scope, and scale. They offer concrete construction services, including ICF and the systems it employ such as excavation and the concrete that fill the forms. 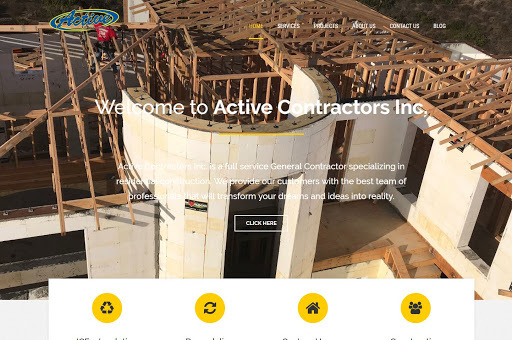 A full service general contracting firm specializing in residential construction, Active Construction lists ICF as one of their offerings. They understand the benefits ICF can bring their clients, and have the knowledge and experience to assist other builders as well. Alternative Energy Construction of Springfield, MO believes that ICF is the future of residential construction. 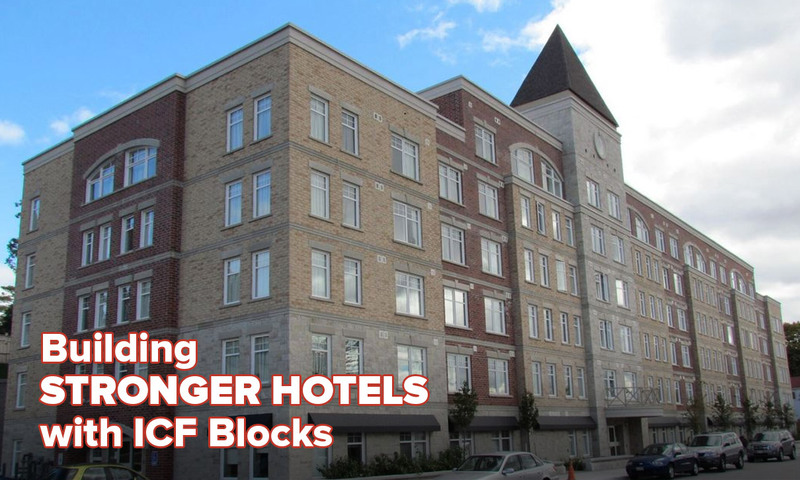 They work with both blocks and ICF panels to achieve better results for all projects. The Chiaramonte Construction Company in Washington, DC is a small general contracting firm that focuses on sustainable design. They cover a range of materials and techniques, including those in concrete, such as ICF. 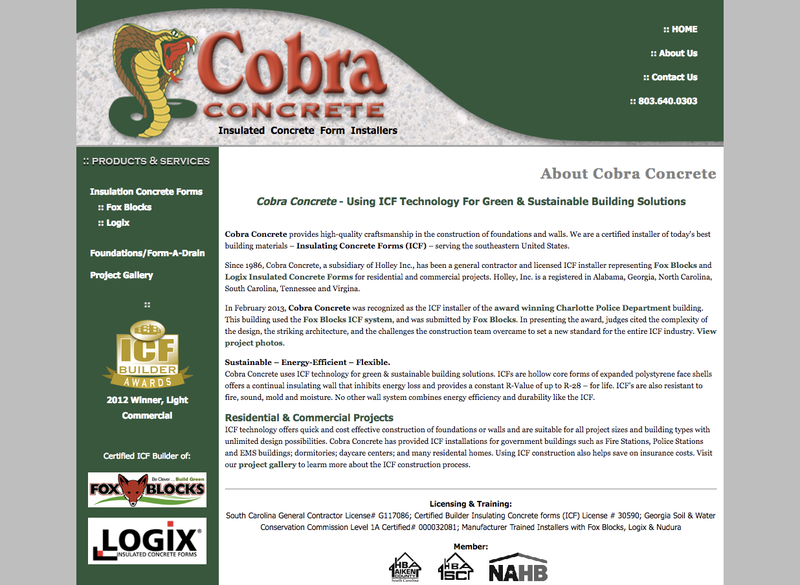 Cobra Concrete builds only with ICF blocks, and they do so faster and less expensively than traditional builders working with other materials. They have an impressive project gallery, showing clients just what’s possible with this innovative material. 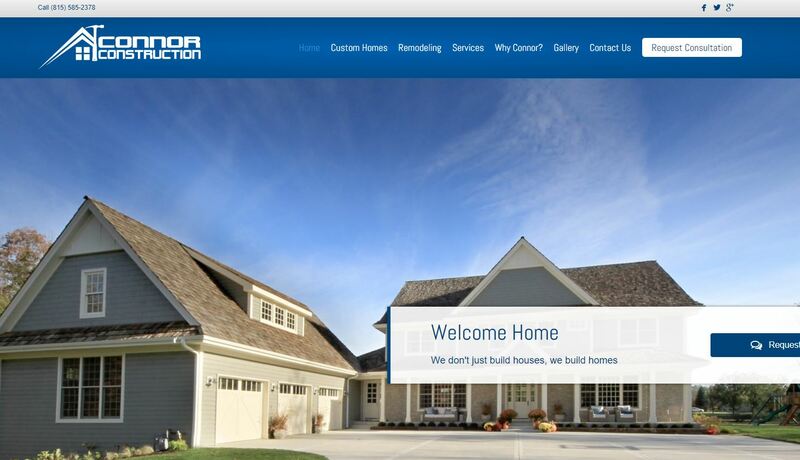 Connor Construction is a custom home builder located in Morris, IL. In addition to building custom homes and offering exceptional service, they also specialize in and offer ICF construction. 7. Cornerstone Custom Construction, Inc. Cornerstone Custom Construction Inc. has been building homes using ICF since 1998 – long before others caught on to what an impressive building system this is. Since then, they have crafting beautiful homes and businesses using ICF, and have become one of the premier builders in their area. 8. 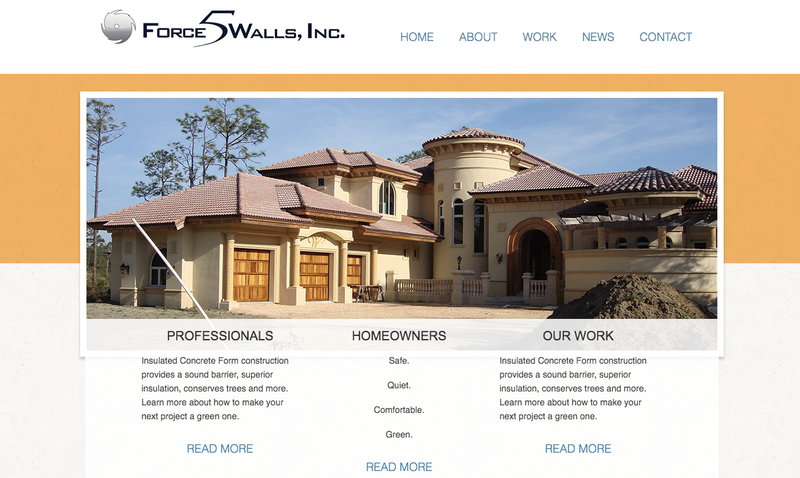 Force 5 Walls, Inc.
Force 5 Walls has been working with ICF since 1997, and has a stunning portfolio of work to show for it. They take on projects of all kinds, including beautiful custom homes, commercial buildings and schools. 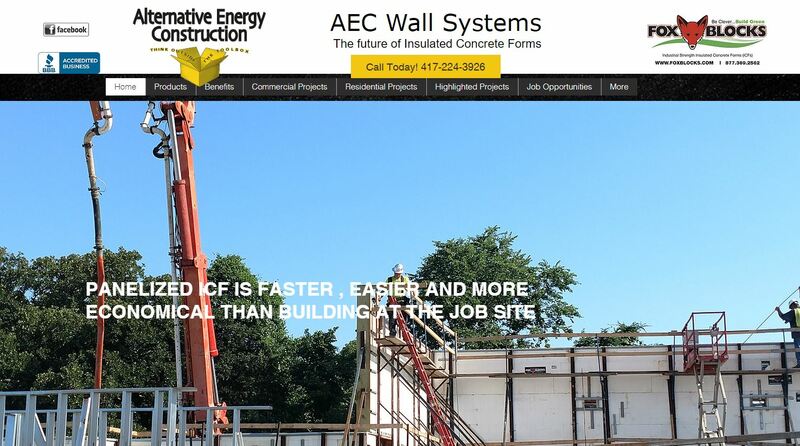 They’re quick to point out to their clients the many ways that ICF can benefit their project. 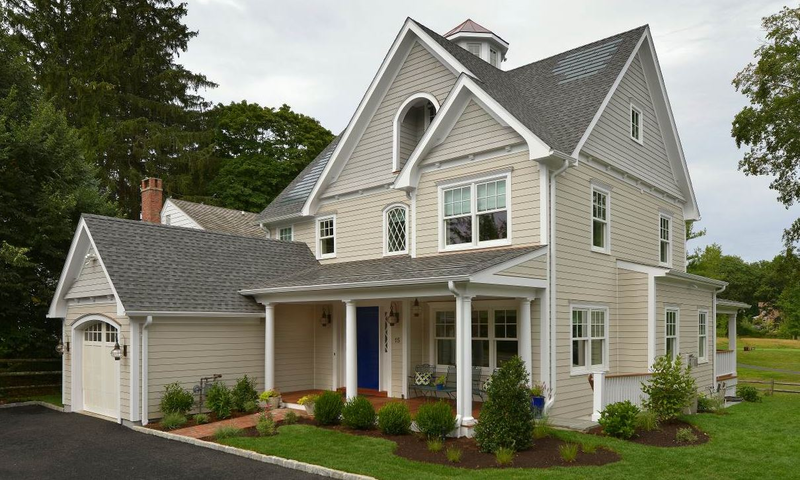 Since 1987, Heritage Lane Builders have been building and renovating custom homes. They offer a wide range of sites, layouts, and plans to suit anyone’s home building needs. 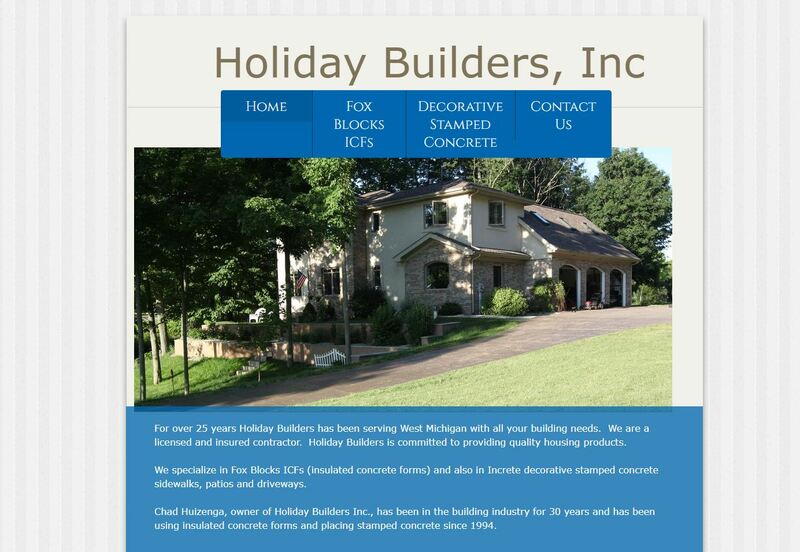 Holiday Builders has been working with ICF and stamped concrete pavers for more than 25 years. 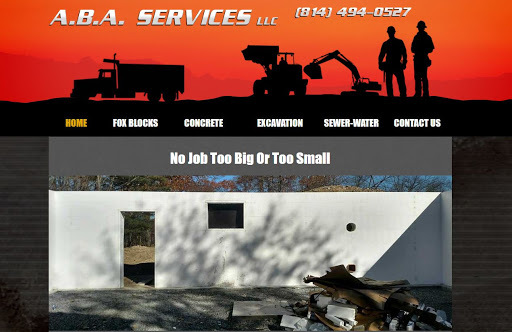 They specialize in concrete construction, but can help meet any building needs. 11. Lonnie Wright Construction Co., Inc.
Lonnie Wright Construction has been building in the Stanley, New Mexico area since 1978. In 1995, they began going green, which included the use of ICF in the homes that they were constructing. Since then, they’ve been one of the premier ICF builders in the area. 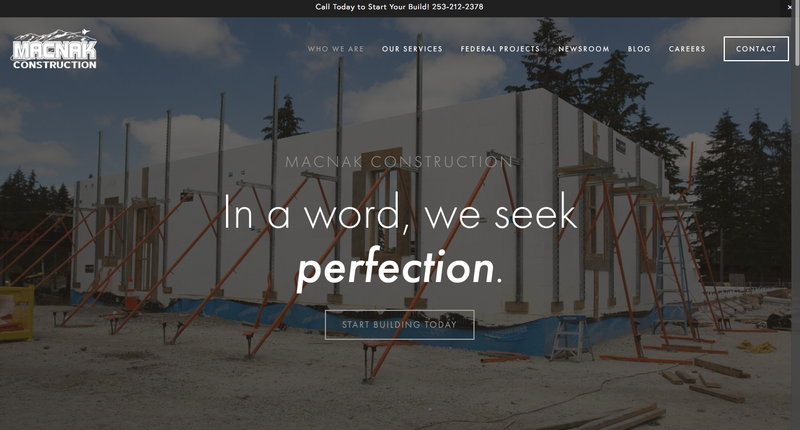 Macnak construction strives for perfection with everything they build. They specialize in ICF and concrete buildings and homes, believing that these structures are better, more durable, and more energy efficient than stick built, and they strive to give people these benefits at no additional costs. Since its inception in 1989, Merlin Contracting has built or remodeled more than 200 custom homes – including some built with ICF. They have Nevada State approval to build homes of any size, scope, or scale, and they do so with breathtaking results. Mid-Atlantic ICF works solely with ICF constructions, educating on its properties and assisting in builds. 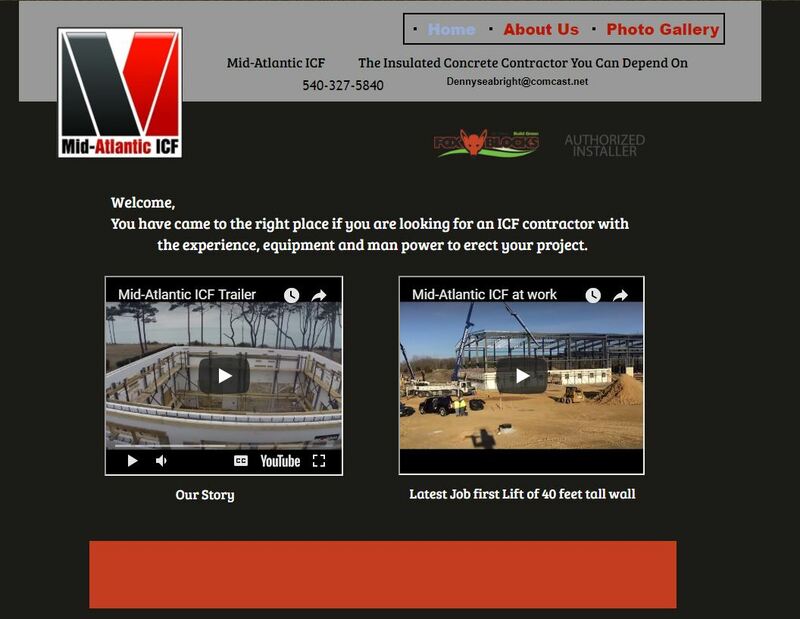 They are one of the largest ICF contractors in the area they serve. Modern Group AZ is a specialized group of subcontractors ready to assist builders and contractors with their projects. Included in their wide array of talents is the ability to work with different building systems – including ICF blocks. Murphy Brothers Contracting puts an emphasis on quality and another on building green. That’s why they list ICF as one of the ways that they can assist their clients in achieving both goals. 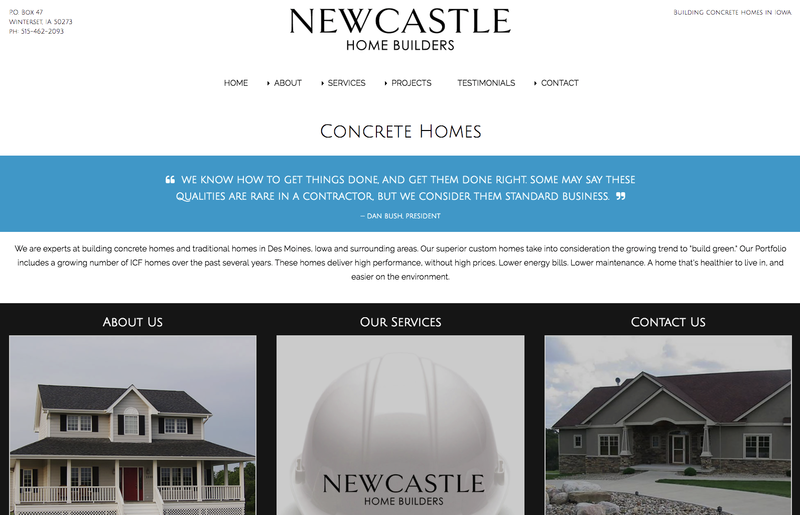 New Castle Home Builders is a specialized concrete building firm in Iowa. 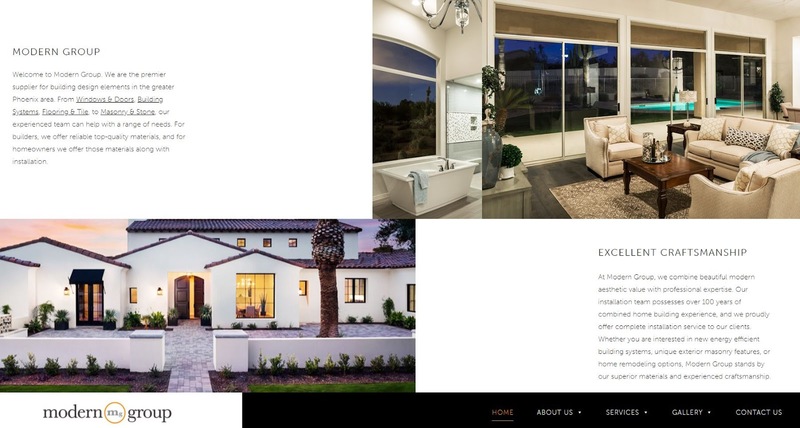 Their custom home portfolio has continued to grow with ICF homes over the last several years, developing into an impressive display. Perfection Builders has been building homes in British Columbia since 2003. They specialize in custom projects, including those built using alternative methods such as ICF. Riversdale Builders specialize in the use of ICF, touting their many advantages to clients. 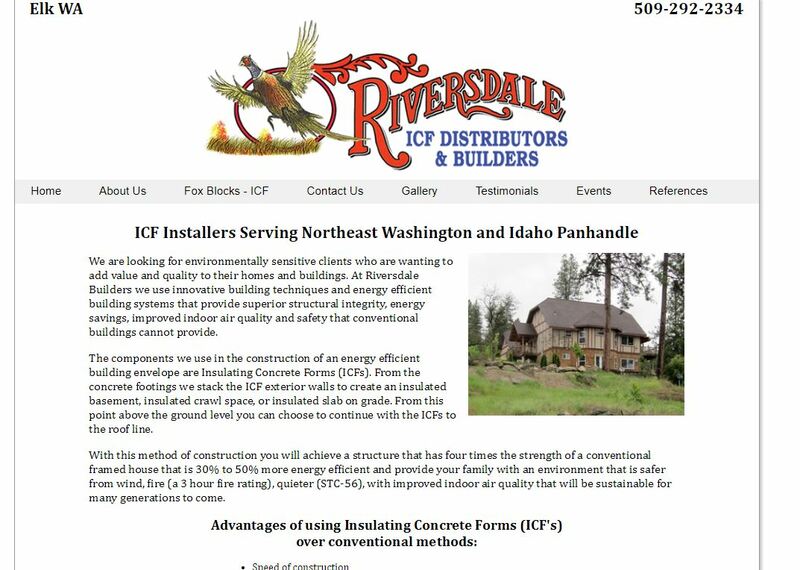 They install ICF throughout Northeast Washington and into the Idaho Panhandle. 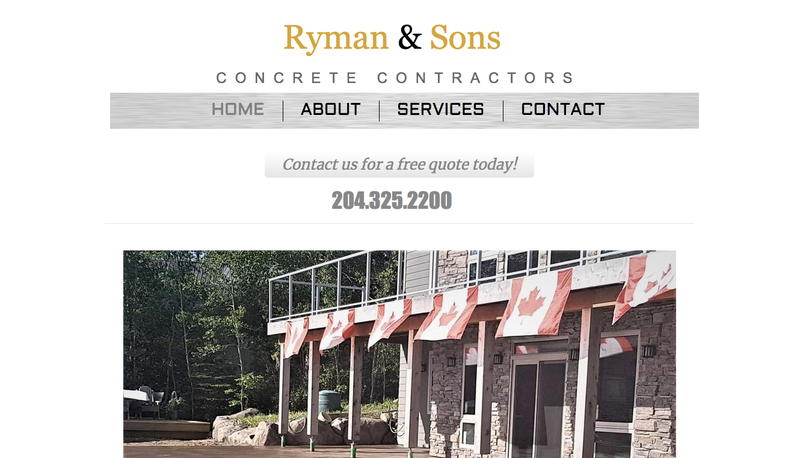 Ryman and Sons are residential and commercial concrete contractors in Manitoba, Canada. 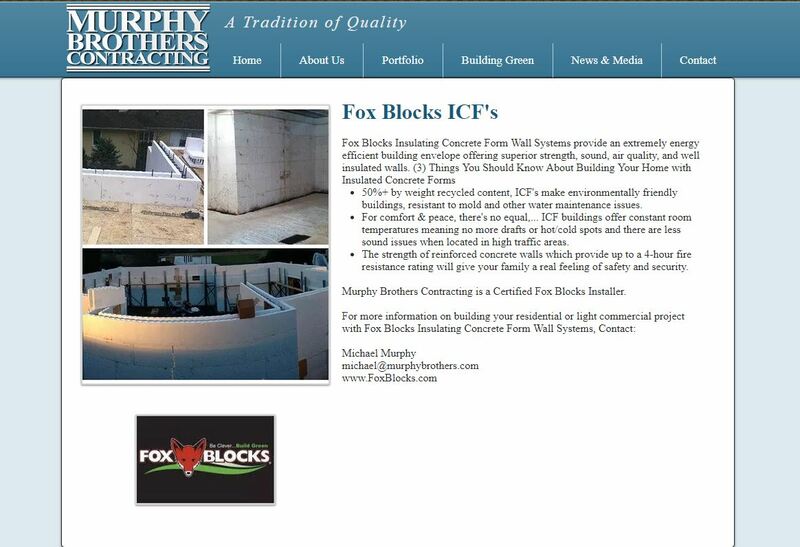 They offer a full range of concrete construction services, including ICF. 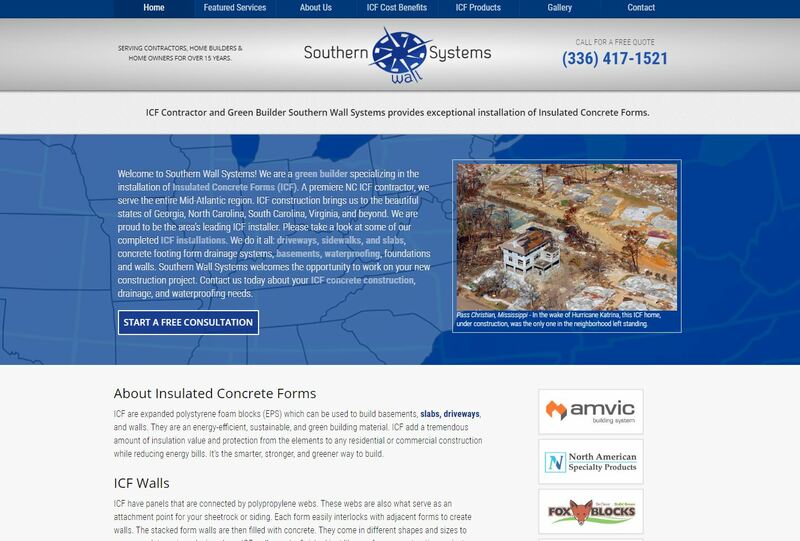 Southern Wall Systems makes a compelling case for why ICF should be the preferred building method in the south. They offer a wide range of services, including ICF, and help to educate others as to why they should make the switch. 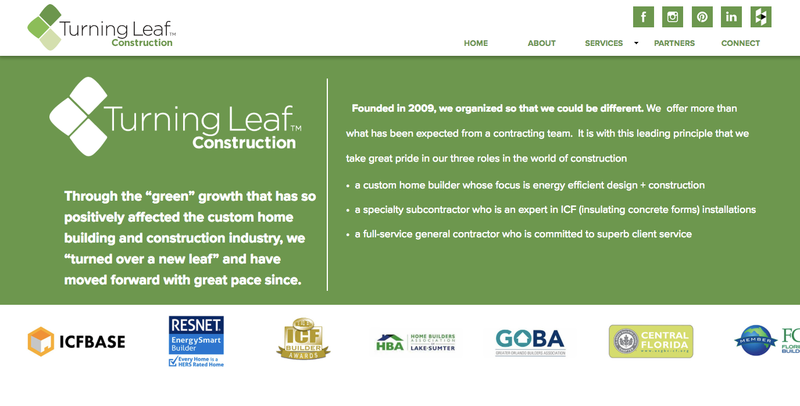 Founded in 2009, Turning Leaf Construction has been putting a focus on energy efficient building since day one. That’s why they have a dedicated branch of their company dealing exclusively with ICF. They take on projects of every size – big or small – including custom homes. 23. 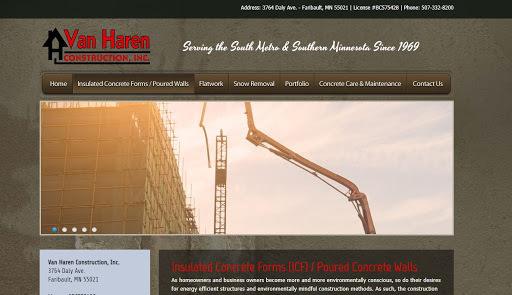 Van Haren Construction Inc.
Van Haren Construction is another company who saw the benefits of ICF long before the others around them. They are one of the best builders in the Faribault, MN area, using ICF to construct and build custom homes. Located in Volusia County, FL, Vintage Custom Homes is the premier ICF builder for the area. They’ve constructed more than 30 homes from ICF blocks since 2015, and founder Tad A. Olmsted firmly believes that they are the best way to build. 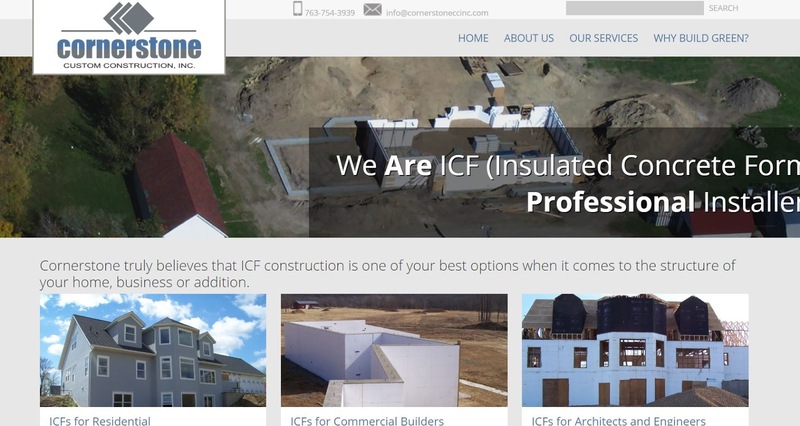 As the work and portfolios of these 24 companies shows, ICF is a versatile, durable, and outstanding way to build a home or business. Take a look at any of these premier concrete builders to find out more about what services they may offer you. 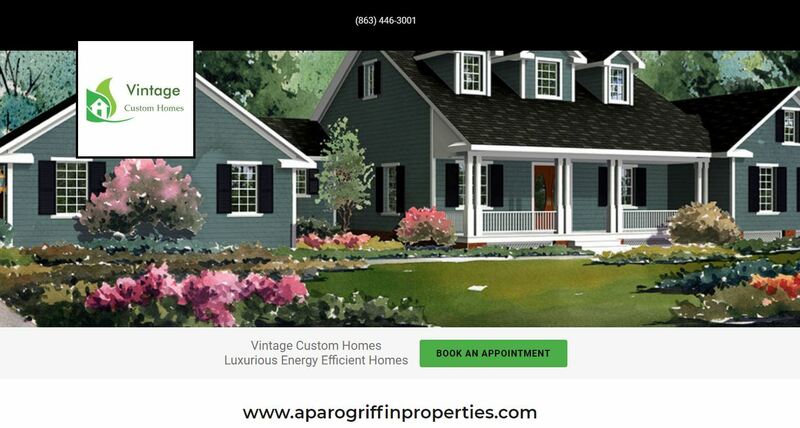 I’m looking for a contractor in the Augusta, Ga area for new construction of our family home. Do you have any leads for me?